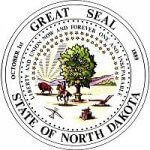 According to the century code of North Dakota child support laws, every parent should live up to their responsibility in terms of child support. With that in check, these laws offer a guide on how to approach any child support case. Judges and courts handling such cases are thus obligated to follow those guidelines with the aim of providing a ruling that is fair to both parties. In the rules, it outlines how the amount the paying parent to pay is calculated and what factors are taken into consideration in this exercise.